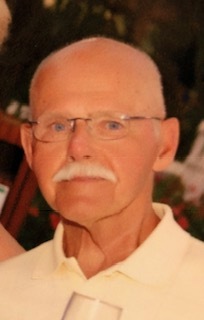 C. Karl Ambroz, of Caledonia, IL, passed away on January 22, 2019. He was born on March 25, 1935 in Czechoslovakia to Karel and Josefa Ambroz. As a young child, he and his parents escaped their war-torn home on foot and in 1951, arriving in the US knowing not a word of English with only the clothes on their backs. Pastor Vince and Mary Stupka offered sponsorship to these immigrant refugees, and their son, Danny, became a true brother and friend. Karl went onto serve in the US Army. He then worked as a butcher in Chicago to pay for college night school ultimately receiving his Master’s Degree in Criminology from N.I.U.. He was a social worker, then parole agent, then juvenile probation officer. Ultimately, he served as Director of Court Services for the 17th Judicial District of Winnebago and Boone Counties until retiring after over 20 years of service. Karl held pride in his Czech heritage, but America was the country of his heart – he cherished his US citizenship. He was most proud of his son and daughter who went onto become physicians. Karl built a strong loving family and led an inspiring life modeling kindness, generosity, and genuine interest in others. He taught us all to be humble and appreciative. He was a warrior against his cancer – nary a complaint, never giving up. He leaves behind his life partner, Faye Young; daughter, Dr. Karla Rae Ambroz (Richard Uhl); Mary Lee Ambroz (Karla’s mother); daughter-in-law, Clare Mitchell; grandsons, Ryan Ambroz, Sean Ambroz, Logan Ambroz. He was preceded in death by his son, Dr. Karl Ambroz (Clare); his parents; 4 half-siblings. His family will host a Celebration of Life at 2:30 p.m. on Sunday, February 10, 2019 at Honquest Family Funeral Homes with Crematory, Mulford Chapel, 4311 N. Mulford Rd., Loves Park, Illinois with visitation from 1:00 p.m. until time of service. In lieu of flowers, memorials may be made in Karl’s name to the Belvidere Family YMCA where Karl has been a member since the 1970's and his family always called home.